If you wish to pay by credit card - please send us an e-mail and the PayPal payment information will be sent back to you. Payment can also be made in other currencies - easily via Paypal. Pay us securely with any major plastic card through PayPal! 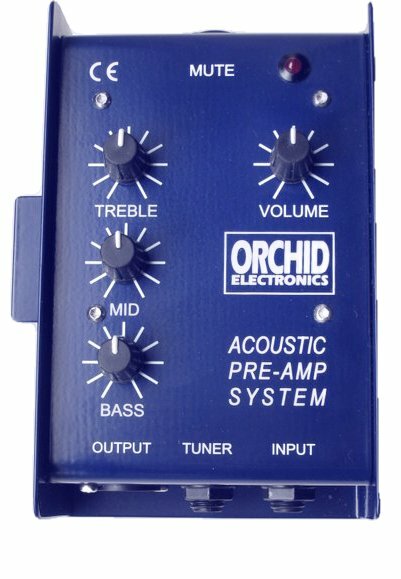 The production version of the Acoustic Pre-amp is now well established and in use by Steve Knightley and Phil Beer, Martyn Joseph, Seth Lakeman, Chris While and many other Musicians. Microphone stand mounted for ease of use. 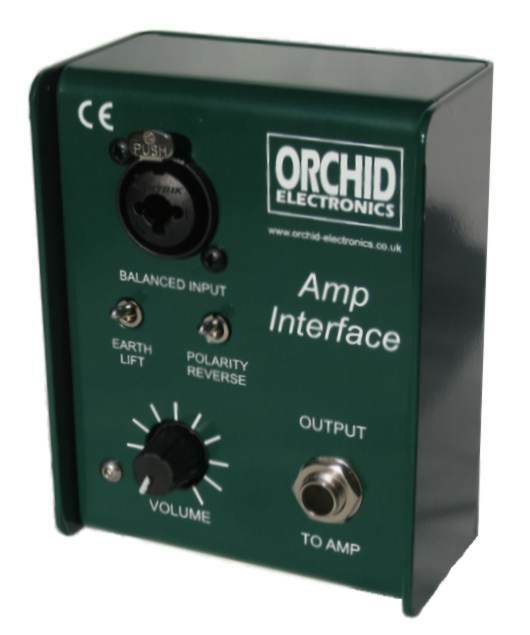 After well over 20 years of continuous production of the original Orchid DI Box - we have produced a replacement. The well proven electronic design remains essentially the same - but is now housed in an extruded aluminium case. In view of the long history of this design, the new model is to be known as our Classic DI Box. Designed for use with Microvox and other electret type contact microphones to amplify concertinas, accordians. melodeons. flutes and similar instruments. Powered from mixer Phantom supply - so no batteries needed. The input and output are completely isolated by a miniature high quality audio 1:1 ratio transformer. Our Classic, Micro and Muting DI Boxes are reviewed in the MAY 2012 edition of Sound On Sound magazine. The excellent results and very favourable comments made in this exhaustive and independent review confirm what our many customers and long established users already know about about our products! Unique Product - available from stock now! An active DI Box - based on the established well proven circuitry of our Classic and Micro DI Boxes - this design has a silent, clickless, muting facility. Dual channel version of our popular Transformer Isolator. Ideal for use with lap top computers for noise free music replay into a mixing desk. A miniature DI Box designed for use in the Studio or on the Stage where a straight through path is all that is required. Phantom powered from the mixer.